The idea of a relaxing bath and taking time to de-stress is essential to our busy lives. A relaxing bath recipe can offer rejuvenation that is way cheaper than massage therapy and can be easily accessible on a frequent basis. 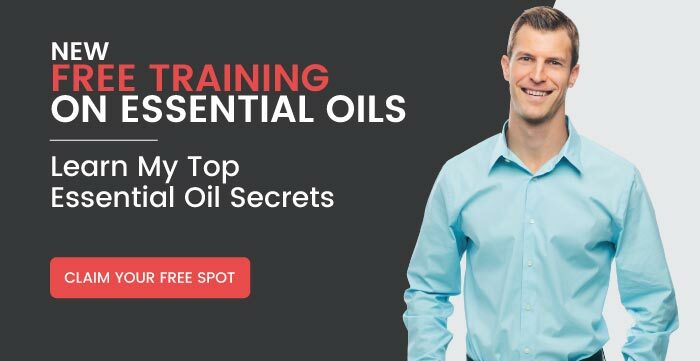 And, not only does this blend reduce stress, anxiety and fight depression, it contains some active ingredients that may help naturally lower cortisol levels, reduce inflammation, improve immunity, and even help with sleep and digestive functions in the body. Now, that’s a bath worth drawing. I have provided the recipe below for making your very own relaxing bath. It is very easy and takes just a few minutes. 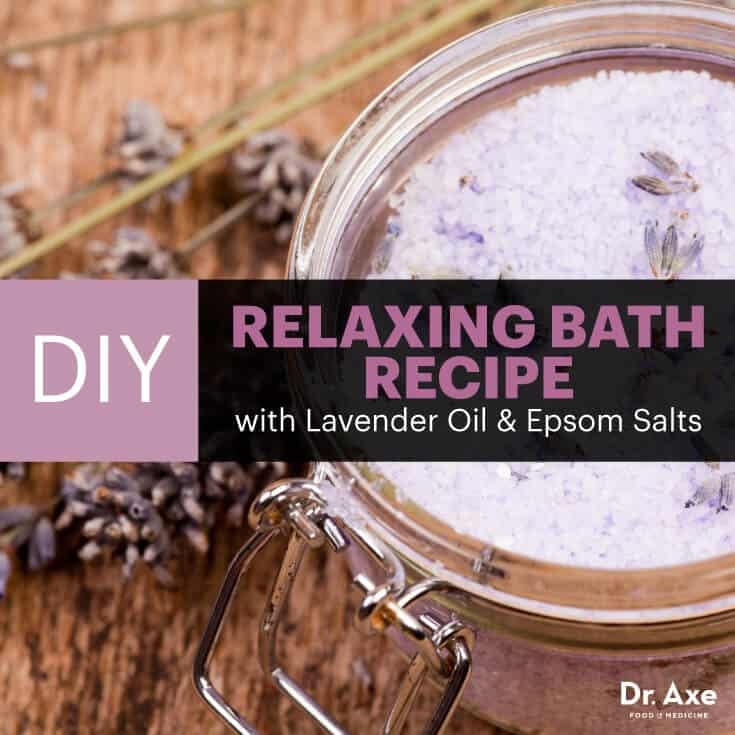 If you find you do not have time for a bath, try aromatherapy by using my DIY Relaxing Bath Recipe. In a medium size glass bowl, place the Epsom salt and bentonite clay and blend well. Make sure to use a non-metal spoon since metal may affect the healing properties of the clay. Epsom salt is great because it de-stresses while eliminating toxins from the body. It does this due to the magnesium and sulfates it contains. Magnesium helps to relax the muscles and the brain. At the same time, it can revive your energy levels — not like caffeine, but more like a renewed fresh feeling. But don’t worry; if you want that bath before bed, it will not keep you awake. And the sulfates are key in helping flush out toxins, like heavy metals, that can easily accumulate in the body. Bentonite clay is great at pulling out impurities, too, and that’s not all. Bentonite clay contains a good bit of minerals, such as calcium, magnesium, silica, sodium, copper, iron and potassium. While pulling toxins out, you are gaining the benefits of important minerals that is absorbed through the skin. Now, let’s add the essential oils. Lavender oil is known for providing relaxation and a good night of sleep. It also contains other medicinal benefits such as reducing anxiety, healing and age-defying properties due to the antioxidants it contains, and may eliminate headaches. Frankincense is the perfect companion with its stress-reducing and healing characteristics. Myrrh is not far behind, providing relaxation for the body and mind. Myrrh oil is commonly used for aromatherapy massage and contains a couple of key compounds called terpenoids and sesquiterpenes. These compounds offer anti-inflammatory and antioxidant properties. Lastly, but perfect for this relaxing bath cocktail is chamomile. It is common to sip on chamomile tea, but you can even add the essential oil to your bath. On top of the relaxation that can help you get some shut-eye, it also has the ability to help reduce inflammation. Once you have added the oils, blend all ingredients well. Now, get your bathwater ready! Warm to hot is best to add extra muscle relaxation. Add about 1/2 cup to 3/4 cup of your Relaxing Bath Recipe to the water. Get in and relax. Soak for about 15–20 minutes to allow the body time to sweat, which helps with the detox process, and to absorb all of the beneficial nutrients. When you are done, rinse off using the shower, then pat dry. Apply coconut oil as a moisturizer or try my Homemade Body Butter. In a glass bowl, blend the epsom salt and bentonite clay using a non-metal spoon. Add the essential oils and blend well. Place ingredients into a jar with a tight fitting lid. To use, place 1/2–3/4 cup into a warm to hot bath. Relax in the bath for 15–20 minutes. Can I use this while pregnant/nursing?? I was just reading how lavender oil can induce labor! So I would skip this until the end of pregnancy. I would try it while nursing though. Which form of bentonite clay is best use (powder form okay? )?